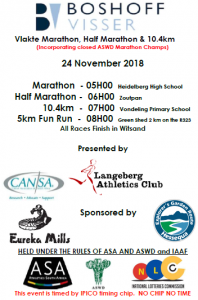 Online Entries @ www.aswd.co.za. 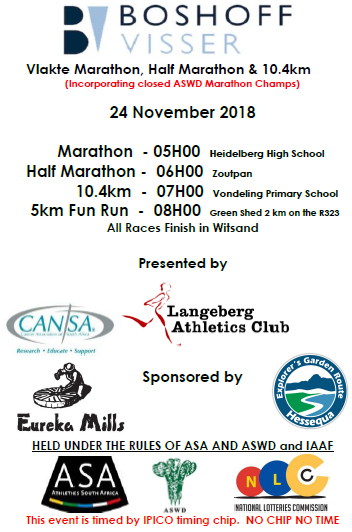 Close Monday 19 November @ 23h30. 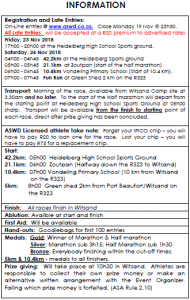 Transport : Morning of the race, available from Witsand Camp site at 3.30am and no later. 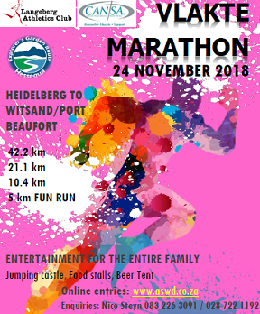 To the start of the Half Marathon will depart from the starting point at Heidelberg High School Sports Ground at 05h00 sharp. 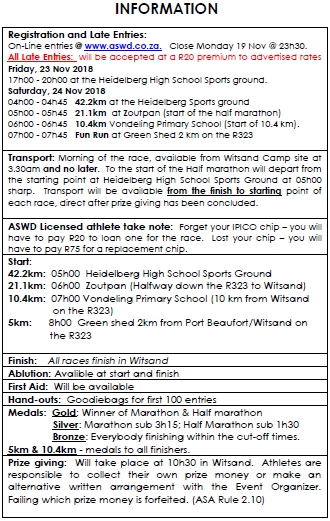 Transport will be available from the finish to starting point of each race, direct after prize giving has been concluded. 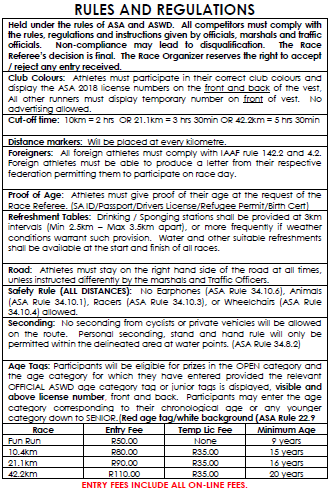 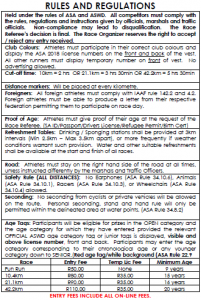 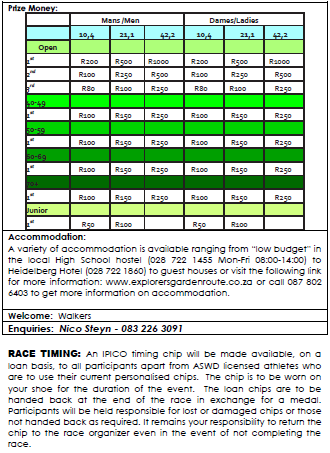 ASWD Licensed athlete take note : Forget your IPICO chip – you will have to pay R20 to loan one for the race. 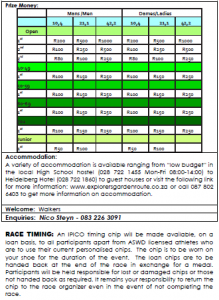 Lost your chip – you will have to pay R75 for a replacement chip.